This Valentines, adidas Originals are releasing a series of three shiny silhouettes. 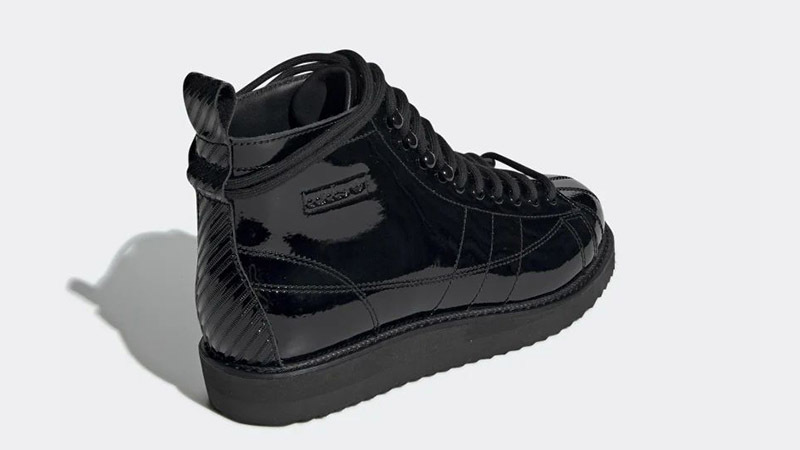 Each of them coming in a triple black colourway, covered in patent leather. Arriving just before their latest collaboration with Fiorucci, you could be head to toe in patent! 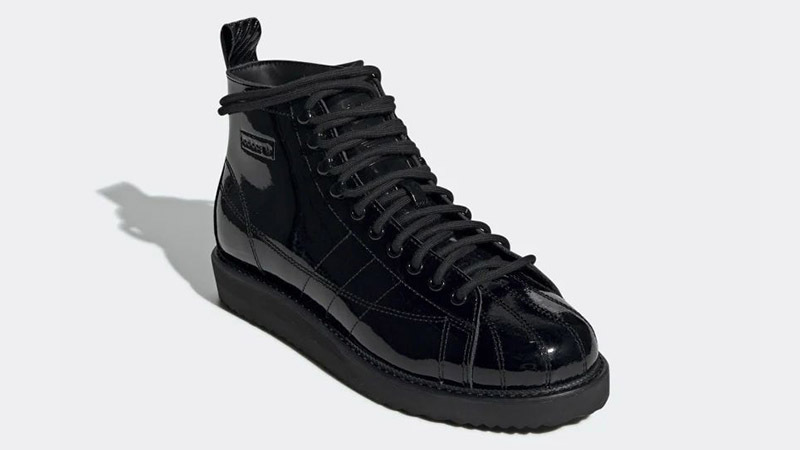 In a slight throwback style, one that makes one think of patent heels, boots and PVC outfits, adidas are owning this new aesthetic in their upcoming release. 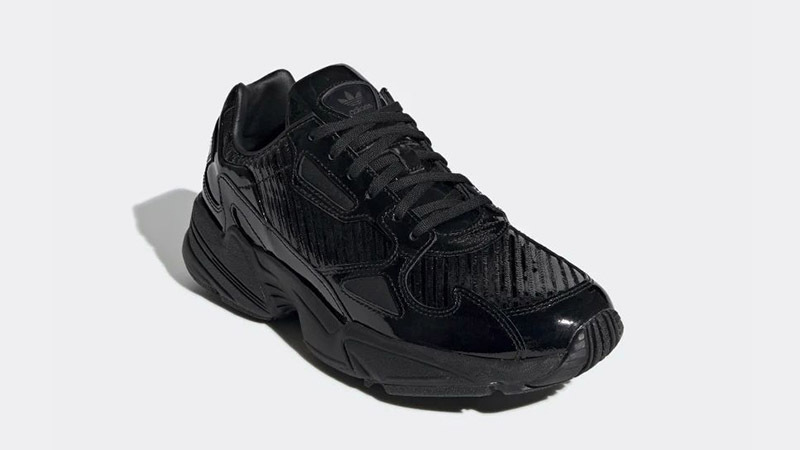 First, the adidas Falcon comes with a smooth and a textured contrast between patent layers. 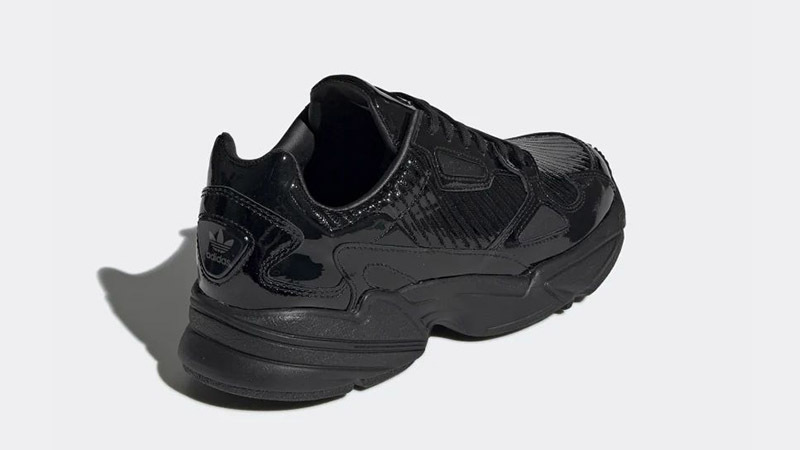 With smoother textile covering the mudguard and travelling up towards the lace unit and the linear detailed patent material covering what would usually be the mesh of the sneaker. The adidas Superstar Boot is next, coming in a hightop design with a smooth black patent leather dressing the entire sneaker. Linear stitching can be seen on the toe box, showing off that classic Superstar style with the 3-Stripe branding also being replicated in the same way on the sidewall. 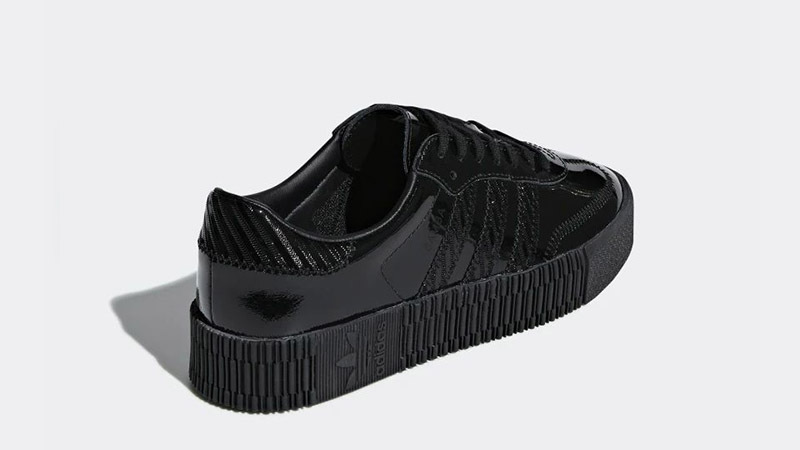 A large lace unit comes in a utility feel, travelling all the way up to the collar of the shoe where adidas Trefoil branding has been debossed into the sidewall. Last but not least is the Sambarose. 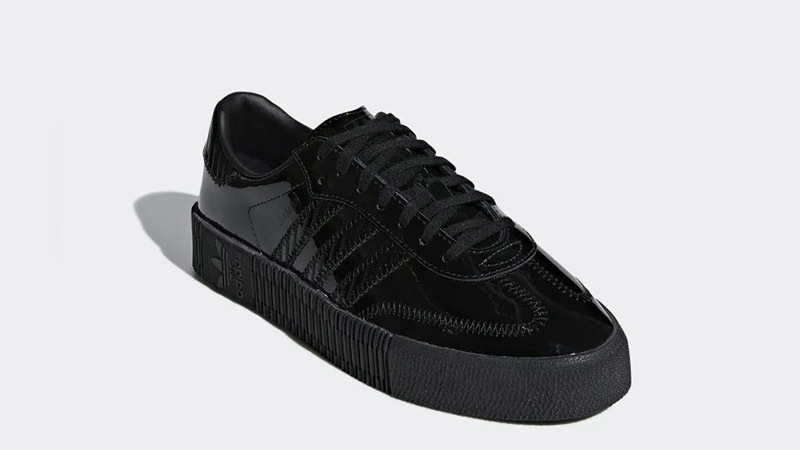 This chunky silhouette comes with a smooth patent leather dressing the upper with linear panelling on the 3-Stripe branding, heel and with the usual zig-zag stitching around the front of the sneaker. The signature chunky midsole sits below foot in a matte rubber, showing off the vertical lines down the sidewalls and around the heel, along with sideways adidas branding. All three silhouettes will be arriving on adidas on the 14th February. Be sure to stay tuned to The Sole Womens to keep updated with these releases as well as all your other daily releases, news and style guides!